The heat is on this week in Philly. On days like today I just want fresh salads or juicy fruits. Ceviche is one of those dishes that I turn to when I want a no cook meal. A lot of people ask what Ceviche is. Is it good? What does it takes like? Well I have had Ceviche before and I can personally say I love it. Here’s my own recipe for it. 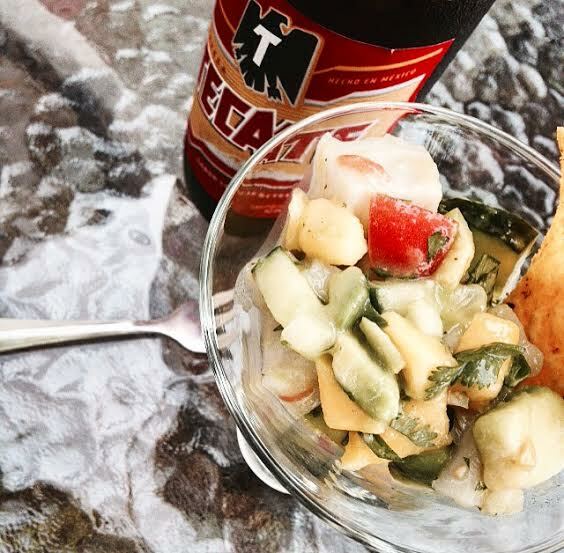 There are so many different ways to make Ceviche. Preparation: Tilpia and chopped up in cubes, marinated in Lime juice for about 45 min. (longer if you would like.) (Tip: The citric acid causes the proteins in the seafood to become denatured, basically cooking the fish. Another fish that is great for this dish is Halibut). In a large bowl add chopped up avocado, onion, the outer part of the tomato (basically cutting around the tomato because if not the pulp of the tomato causes too much juice), garlic, dash of salt, pepper, serrano peppers, cucumbers, mangos, cilantro and olive oil. Toss everything together and set aside. After about 45 mins or so drain the lime juice and place fish in salad mix. You can put them on a dish or a fancy glass to capture the eye. Serve with tortillas. Before preparing this dish just make sure you research your fish and make sure your market sells the freshest fish. Enjoy! Looks great. 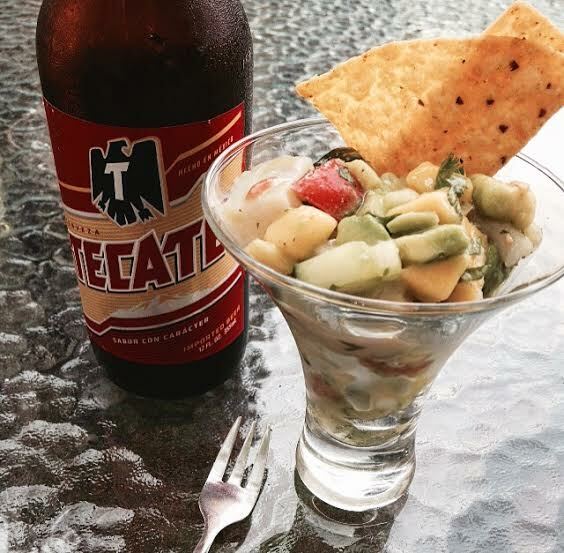 I love ceviche and this recipe sounds great. I look forward to making it. Thanks for the posting.